My mom picked this book up for me when she went to Hong Kong, and it turned out to be a really educational read. Of course, that makes it sound like the book is purely journalistic; it’s not — Xinran’s style makes it hard to put the book down for any extended period of time. 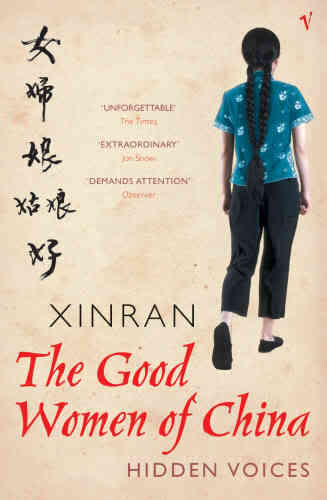 While the book consists of several individual chapters, each focusing on the experiences of one or two women, the book reads more like a novel because of Xinran’s own story that is woven throughout and connects the stories of the other women. I think one of the most interesting things about this book is the way it came to be. Xinran ran a radio program in China after the Cultural Revolution, and her show focused on women. Her listeners called in and shared their stories — often tragic and hard to take in — and Xinran went out of her way to help them when she could. One of the most significant purposes of this book, as I see it, is Xinran’s mission to expose the impact of the Cultural Revolution on China’s women. She takes a hard look at the way it impacted their day-to-day lives, their marriages and families, their careers, and oftentimes their personal safety and well-being. It’s a very interesting look at the lives of these women and the way they struggle to maintain what’s most important to them.